The Biographical Roster of the Immortal 600 by Mauriel Joslyn. 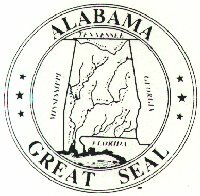 There were 25 Confederate officers listed in the '600' from Alabama, 10 from Florida and 60 from Georgia. ALLEN, William H. (2nd Lieutenant, Company E, 49th Alabama Infantry Regiment) Captured July 9, 1863 at Port Hudson, Louisiana. ARMSTRONG, Andrew J. (1st Lieutenant, Company I, 46th Alabama Infantry Regiment) Captured May 16, 1863 At Champion Hill Mississippi. ANDREWS, James J., (1st Lieutenant, Company F, 4th Alabama Cavalry Regiment Roddy's) Captured November 30, 1863 at Florence, Alabama. BASS, Washington P. (2nd Lieutenant, Company A, 15th Alabama Infantry Regiment) Captured May 6, 1864 The Wilderness, Virginia. BATES, Dwight E. (1st Lieutenant, Jeff Davis Artillery) Captured May 12, 1864 at Spotsylvania Courthouse Virginia. BEDELL, William H., (2nd Lieutenant, Company E, 1st Alabama Cavalry Regiment) Captured October 23, 1863 at McMinnville, Tennessee. BISHOP, William T. (1st Lieutenant, Company G 16th Alabama Infantry Regiment) Captured June 20, 1863 at Baxter Alabama. BOND, Julien D. (1st Lieutenant, Company G 59th Alabama Infantry Regiment) Captured June 17, 1864 at Petersburg Virginia. BREEDLOVE Jonathan P., (1st Lieutenant, Company B 4th Alabama Infantry Regiment) Captured July 4, 1863 at Gettysburg, Pennsylvania. BURTON, John W., (Captain, Company D 6th Alabama Infantry Regiment) Wounded and Captured July 4, 1863 at Gettysburg Pennsylvania. CAMPBELL, Richard F. (Captain, Company I 49th Alabama Infantry Regiment) Captured July 9, 1863 at Port Hudson Louisiana. CHAMBERS, Charles E. (Captain, Company B 13th Alabama Infantry Regiment) Captured July 3, 1863 Gettysburg, Pennsylvania. CHISOLM, John N., (Captain, Company I 9th Alabama Infantry Regiment) Captured July 2,1863 at Gettysburg Pennsylvania. CHITWOOD, Lewis S., (Captain, Company A 5th Alabama Infantry Regiment) Captured May 12, 1864 Spotsylvania Court House Virginia. EARL, Paul H. (1st Lieutenant, Company G 28th Alabama Infantry Regiment) Captured November 23, 1863 at Missionary Ridge Tennessee. ELLISON, George H., (Captain, Company E 3rd Alabama Infantry Regiment) Captured, May 12 1864 at Spotsylvania Court House, Virginia. FANNIN, James W. (Captain, Company A 61st Alabama Infantry Regiment) Captured May 12, 1864 at Spotsylvania Courthouse Virginia. FONTAINE, Lamar (Major, 4th Alabama Cavalry Regiment Roddy's) Captured November 27, 1863 at Ringgold, Georgia. FOSTER, Anthony C. (2nd Lieutenant, Company B 4th Alabama Cavalry Battalion) Captured November 30, 1863 at Florence, Alabama. HAYNES, John L. (1st Lieutenant, Company I 14th Alabama Infantry Regiment) Captured May 12, 1864 Spotsylvania Courthouse Virginia. KIRKMAN, Alex J., (1st Lieutenant, Company D 4th Alabama Cavalry Battalion Captured, October 30, 1863 at Florence Alabama. LEDYARD, William N., (1st Lieutenant, Company A 3rd Alabama Infantry Regiment) Captured, July 1, 1863 at Gettysburg, Pennsylvania. MASTIN, Edmund I. (1st Lieutenant, General J. H. Kelly's Staff) Captured December 28, 1863 at Charleston Tennessee. MEADOWS, James D., (Captain, Company A 1st Alabama Infantry Regiment) Captured July 9, 1863 at Port Hudson, Louisiana.